A 52-year-old contractor from Citrus County was one of two people killed last weekend in Afghanistan. According to Bay News 9’s partner newspaper the Citrus County Chronicle, Kevin O’Rourke, who lived in the town of Hernando, was in Afghanistan as a civilian contractor with NATO, working for Engility, a law enforcement professional firm based in Alexandria, Va.
A former New York City police officer, O’Rourke missed being in the World Trade Center by 20 minutes on September 11, 2001. He spent hours that day helping a friend trapped in the rubble. A retired NYPD sergeant working as a civilian contractor in Afghanistan was killed during an apparent “insider attack” by members of the Afghan military. Kevin O’Rourke, 52, and an unidentified US soldier were slain Saturday in the clash with Afghan troops. O’Rourke had been on the force for 20 years and worked as member of the NYPD’s elite Emergency Service Unit. He was also one of the department’s scuba instructors, based at Brooklyn’s Floyd Bennett Field. O’Rourke, originally from Long Island, retired in 2003 and later moved to Florida. The soldier was the 2,000 service member to die in the 11-year conflict. while three other U.S. citizens and one Afghan were wounded, police spokesman Wali Mohammad said on Sunday. Kabul, Afghanistan (CNN) — Two Americans and three Afghan soldiers died in a firefight that may have involved insurgent forces, the International Security Assistance Force said Sunday. One of the U.S. deaths was a soldier; the other, a civilian, U.S. officials said. A NATO soldier, a NATO civilian contractor and several Afghan soldiers were killed by an Afghan soldier on Saturday in eastern Afghanistan, the latest in growing number of the so-called “green-on-blue” insider attacks in the country, the NATO said Sunday. “An International Security Assistance Force (ISAF) service member and an ISAF civilian contractor died following a suspected insider attack in eastern Afghanistan yesterday,” the NATO-led coalition or ISAF said in a statement. The brief statement did not disclose the nationalities of the victims and the exact place of the incident under ISAF policy. Troops mainly from U.S. have been stationed within the 100,000 strong NATO-led ISAF forces in eastern Afghan provinces. SOUTH AFRICAN born Jeni Ayris, who lived in Edinburgh, was killed in the blast in Kabul. A WOMAN who was killed in a suicide bomb attack in Afghanistan was due to return home this week. 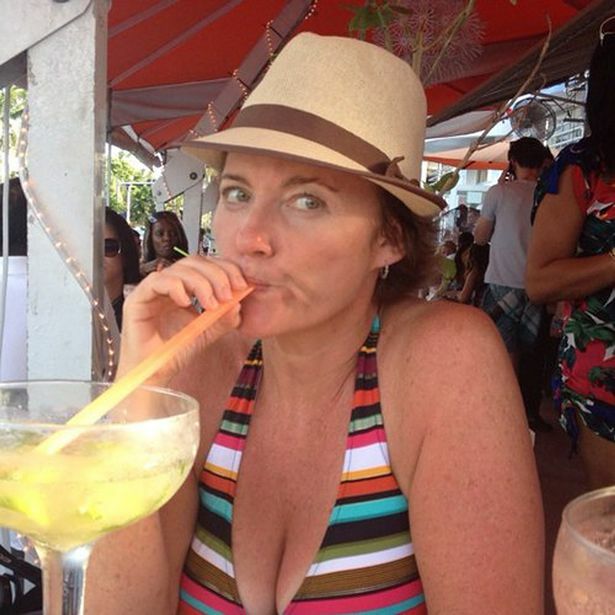 Jeni Ayris, 46, who was born in South Africa but held a British passport, died in the blast in the capital, Kabul, yesterday, when a female insurgent drove a car full of explosives into a minibus carrying mainly foreign workers. Her friend, Kirsten Bennett, from the Isle of Mull, said Ms Ayris was expected to return to Edinburgh this weekend. Ms Ayris worked as a customer relations manager for South African aviation company ACS/BalmOral. In a statement, the firm said: “ACS/BalmOral is deeply saddened by the loss of the lives of some of our staff in Kabul, Afghanistan, due to a suicide bombing attack that occurred on September 18. Ms Ayris lived in the Morningside area of the Scottish capital for about 17 years. She was born in the Durban region of South Africa, but left the country many years ago and had dual citizenship with the UK. Ms Ayris ran a South African themed cafe in the Tollcross area of Edinburgh, Ndebele, for about a decade. WOOSTER — A Kidron man taken hostage in Afghanistan in 2008 and held captive for 56 days before being released was shot and killed Monday in a rural part of that country. Al Geiser, 65, of Kidron, was with two Afghans, one a business partner and close friend and the other a co-worker, and returning from a job that was part of a hydroelectric project when they were killed, according to a press release issued by Carl Wiebe, pastor of Kidron Mennonite Church. The Associated Press reported gunmen killed three people in an ambush on a van in northern Afghanistan, and one of the victims was an electrical engineer who lived in the country for decades. However, the AP story did not contain the information of the American killed. The U.S. embassy and Afghan officials say an American civilian who reportedly worked as an electrical engineer in northern Afghanistan has been killed by gunmen. The U.S. Embassy on Tuesday could not provide further details because of privacy laws, but three Afghan security officials say the man, an electrical engineer working in Afghanistan for about 30 years, was shot Monday by gunmen as he rode in a mini-bus in northern Parwan province. The gunmen, two or three in number, also killed two Afghans, the driver and one of the man’s colleagues, they said. Chicago Police officer once hailed as a hero locally has been killed by insurgents in Afghanistan. Tom Boyle, 62, of Barrington Hills died in one of the latest attacks on a coalition forces in Kandahar Province. He’d been working as a civilian security consultant, training Afghan police officers. Boyle had been a highly decorated Marine in Vietnam before becoming a Chicago police officer. A provincial police officer in Iraq says a roadside bomb has killed one security contractor and wounded three others working for a Turkish security company in the country’s north. Shokur says the four victims were Iraqis working for a Turkish company providing security for a Turkish construction project. John Kirkland, 55, of Houston, TX, passed away on June 1, 2012, during an attack by the Taliban in Afghanistan. Son of Jeannine and Gordon, John was born in Atlanta, Georgia on June 16, 1956. He would have been 56 years old on June 16th. John grew up in Florida, where he lived in Melbourne and Palm Bay. He owned and operated a local stucco business until he moved to Houston in 1998. He lived there before becoming employed in 2006 as a Maintenance Mechanic for KBR, a civilian military contractor. John’s first job assignment was at a military base located in Iraq in 2006. In May, 2010 he was transferred to a Forward Operating Base in Afghanistan named Salerno, where he worked for the civilian military contractor Fluor. He was killed on June 1, 2012 during an attack by the Taliban. His remains will be cremated at Dover Air Force Base. John is survived by his son, Christopher Ashley Kirkland; and his two brothers, Virgil Eugene Kirkland of Ocala, FL and Douglas Paul Kirkland of Palm Bay, FL; as well as an Aunt and Uncle, Glenda and Eddie McCoy of Mooresville, NC, along with numerous cousins. The attack on June 1 killed an American contractor and wounded dozens of service members. Panetta was particularly incensed about the Haqqani network using the Federally Administered Tribal Area in Pakistan as a safe haven. The Haqqanis most recent outrage was an attack on Forward Operating Base Salerno in Regional Command-East. The attack on June 1 killed an American contractor and wounded dozens of service members. 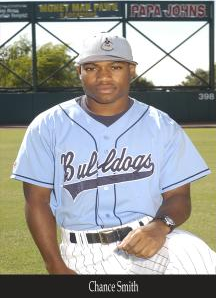 Smith, an outfielder for The Citadel baseball team from 2004-07, was killed early Saturday morning in a car accident that also left his wife, La-aia, in critical condition. Their infant daughter, Laina Madison, was not with them at the time of the accident. Smith was returning home to McDonough, Ga., from Atlanta after celebrating his upcoming 27th birthday with his wife when the crash occurred. The 2003 graduate of Evans High School worked as an U.S. Army contractor and was scheduled to return to Afghanistan this week. Many Citadel fans will remember his two home runs and four RBIs in an 11-10 victory over rival College of Charleston in 2006. Chance Smith was killed in a single-car accident Sunday morning. The 2003 graduate was on his way home to McDonough, Ga., after celebrating his upcoming 27th birthday in Atlanta with his wife La-aia when the crash occurred. 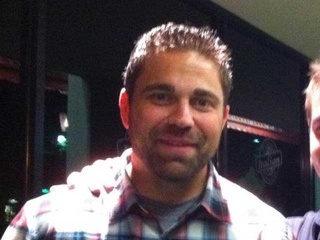 Smith worked as an U.S. Army contractor and was scheduled to return to Afghanistan this week. While his wife suffered a cracked sternum and deflated lung, the couple’s 3-month-old daughter Laina Madison was not with them. A Rice Lake couple says their son has been killed in a helicopter crash while working in Afghanistan. Darrell and Jan Walker say their 48-year-old son, Todd, worked for AAR Airlift. He was conducting operations for the U.S. Department of Defense when the chopper crashed in Helmand Province Monday. All three crew members died. There were no other passengers. The Walkers say Todd transported ammunition and dignitaries, moved troops from base to base and delivered mail to remote areas in Afghanistan. 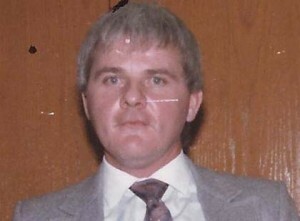 The Eau Claire Leader-Telegram (http://bit.ly/zCyjiR ) says he was a 1981 graduate of Rice Lake High School. He is survived by his wife and three children. Todd Walker of Arkansas packed a lot of life into his 48 years. The 1981 Rice Lake High School graduate fought forest fires, worked in emergency medical services out of Duluth, Minn., and scouted schools of tuna in the far reaches of the Pacific Ocean – all from his perch as a helicopter pilot. On Monday, however, Darrell and Jan Walker of Rice Lake received a phone call that their son had died in Afghanistan. The company Todd worked for, Wood Dale, Ill.-based AAR Airlift, reported that a helicopter carrying a crew of three employees, including Todd, was involved in an accident in Helmand Province at about 10:45 a.m. Monday. The team was conducting operations for the U.S. Department of Defense, according to a news release. All three crew members died; there were no other passengers. The cause of the accident is under investigation. The terrorist group Al-Qaida has claimed responsibility, Jan Walker said, but that has not been substantiated. Marjan Haqmal, police chief of Nad Ali district in Helmand Province, told The Associated Press the Russian-made aircraft probably went down because of a technical malfunction. “We’re very proud of him,” she said. Todd also is survived by a wife and three kids, who were scheduled to arrive late Wednesday in Rice Lake. His body was slated to arrive at Dover Air Force Base in Delaware at about the same time, Jan Walker said. She said it will take a few days for him to arrive in Rice Lake. Services will be at Red Cedar Community Church will conduct services. Jan said one of her son’s passions was arguing about politics. “(But) mainly I’ll remember his love for hunting and love for the Packers,” she said. A Clay County helicopter pilot was killed this week in a crash in Afghanistan. Michael Clawson, who worked for AAR Airlift of Chicago, was in Afghanistan doing work for the U.S. Defense Department. Clawson leaves a wife and five children, said Father John Bamman, OFM Conv., of St. Joseph’s University Parish, where Clawson and his family attended worship services in Terre Haute. The crash happened in southern Afghanistan on Monday morning. Two other people were killed, all employees of AAR Airlift, which is a unit of Wood Dale, Ill.-based AAR Corp.
NATO forces reportedly have secured the area of the crash and were attempting to determine what happened, according to news reports. 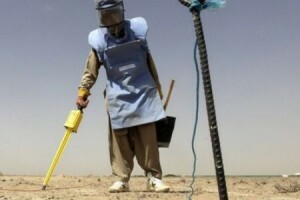 According to governmental authorities in northern Afghanistan, at least three de-miners of a mine clearance organization were killed and injured in militants attack in north-eastern Kapisa province. The officials further added, the incident took place after militants targeted the deminers in Kohaband district of north-eastern Kapisa province late Tuesday night. Afghan security officials in Kapisa province confirming the incident said, at least one de-miner of a mine clearance organization was killed and two others were injured after they were targeted by militants in the area around 11:oo pm local time on Tuesday night. The source further added, militants used missiles to target the de-miners office from the south-eastern region of Kohband district. THE family of a Scots contractor who was among 13 people who died when a suicide bomber rammed a military convoy in Afghanistan said yesterday they were “heartbroken” after his killing. Father of one David Quinn, of Airdrie, North Lanarkshire, died in the attack on Saturday along with fellow Briton Stephen Brown, 52. It was reported Mr Quinn was 34, an electrician, and that he and his wife Jane had a daughter, Sophie. Friends and family who gathered at Mr Quinn’s home yesterday said they were too upset to talk further of the tragedy. Memphis — Family members are struggling to accept the news that their loved one died in a suicide bombing in Kabul, Afghanistan last week. Matthew Lemmon, a civillian contractor was onboard a NATO armored bus with military personnel and other contractors. Lemmon was working on air conditionning units in Kabul. Authorities say a bomber drove a car loaded with explosives into the bus. Sandy Lemmon, says her only comfort is that her son died quickly, and that he’s with God. She wants her grandchildren, and others to know how giving her son was, and how devoted he was to his church. CEDAR HILL, Texas – A 32-year-old North Texas man died over the weekend when his convoy was attacked in Afghanistan. Jarod Keith Cravens had served eight years in the Marine Corps but returned to work as a contractor, his wife Stephanie said. The couple has a 12-year-old son and a 9-year-old daughter. Cravens had most recently been in North Texas just a few weeks ago on leave, where he was able to attend Game 4 of the World Series with family members, and the State Fair of Texas with his children.